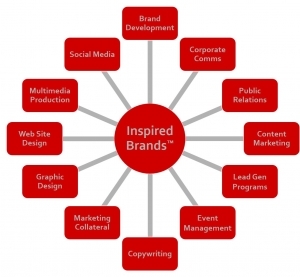 There are lots of ways to categorize what we do at RYSE Marketing & Communications. Some say we do corporate communications, or public relations, or social media. Others might say we do content marketing, or web sites, or events management. To us these essential, but individual elements are part of a more holistic approach to what we really do: Create and elevate Inspired Brands™. We’re an increasingly rare breed of specialists uniquely qualified to help you given our expertise in both traditional and digital disciplines. We combine the best of both worlds using leading practices and our best of breed, cross-industry experiences to create immersive audience engagements that drive measurable, sustained results.